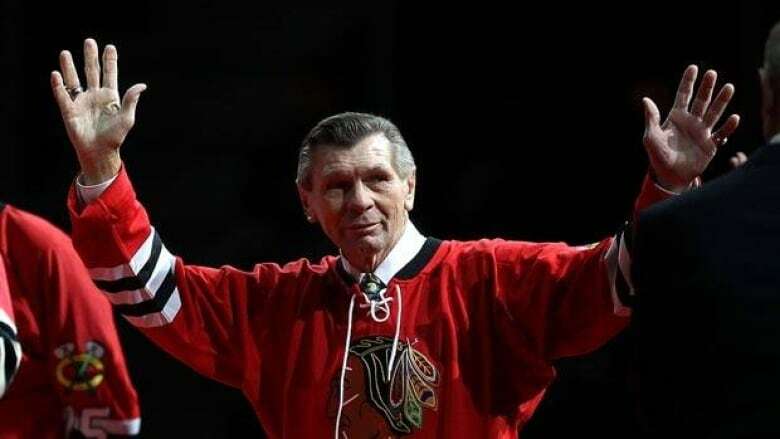 Chicago Blackhawks legend Stan Mikita is facing serious health issues after being diagnosed with a form of dementia. The family of Stan Mikita said Friday that the Chicago Blackhawks Hall of Famer has been diagnosed with a suspected brain disorder and is "facing some serious health issues." He "is currently under the care of compassionate and understanding care givers," his family said in a statement. They offered no other information on Mikita's condition other than noting that he may suffer from Lewy body dementia. "We are thinking of Stan and his family at this difficult time and wish him well," the team said in a statement. Born in Czecheslovakia in 1940, Mikita moved to St. Catharines, Ont., at a young age and even played junior hockey there. He played two games for Canada at the 1972 Summit Series. Lewy body dementia is a progressive disease that causes problems with thinking, movement, behaviour and mood. It's associated with abnormal protein deposits in the brain called Lewy bodies. There's no known cure, but people can live with the disease for a number of years. How quickly symptoms develop varies from person to person. "The family of Stan Mikita truly appreciates the support he has received over the many years he has played, worked and lived in the Chicago area," they said in the statement. "They hope the fans will keep him in their thoughts and prayers and respect his privacy during this difficult time."